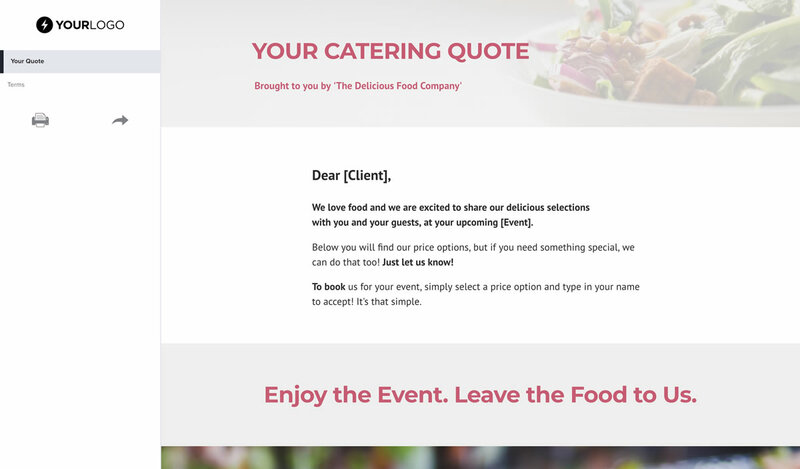 This proven quote template won over $120,000,000 of business for our catering customers in 2017 alone. 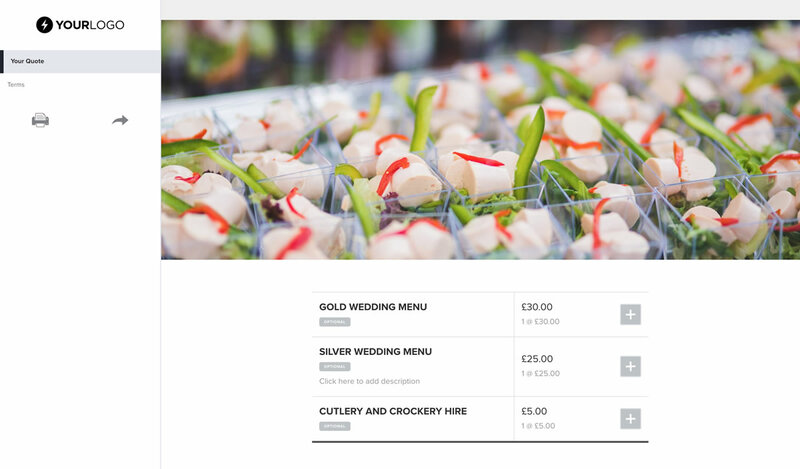 The text, images, colours, your logo - it's all 100% editable. Make your quote pop with a beautiful cover image and you’ll quickly have your client’s full attention. 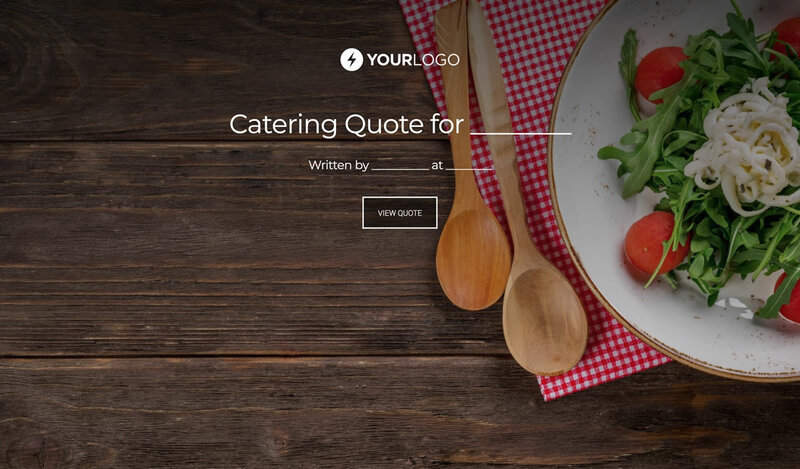 When the first impression of your catering business is excellent presentation and a fresh look, this sets a powerful and positive precedent for the rest of your dealings with your client. As with every element of a Better Proposals document, everything is fully editable so you can customise your cover with your logo and branding. 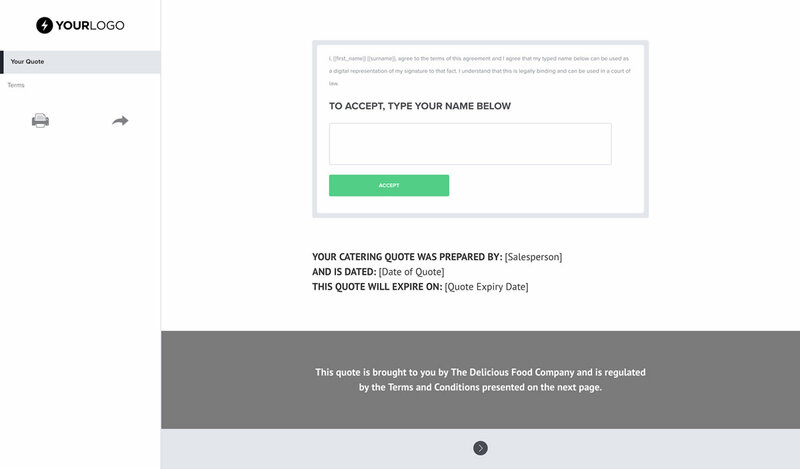 Typically, quotes are brief documents containing figures and a one-line description, but like anything you send your client - why should it be boring or dull? It's the perfect time to remind them why you're different and why you're the catering company they should choose. Once you have won your client, the next crucial step is getting paid. This essential part of the quote should clearly lay out the hows, whens and whys of your payment terms. 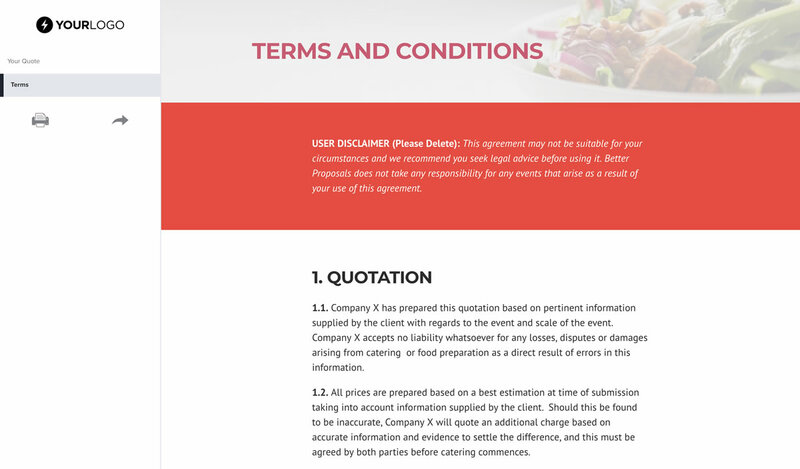 We’ve included a generic sample terms and conditions contract suitable for the catering industry but these will need customising to your terms.